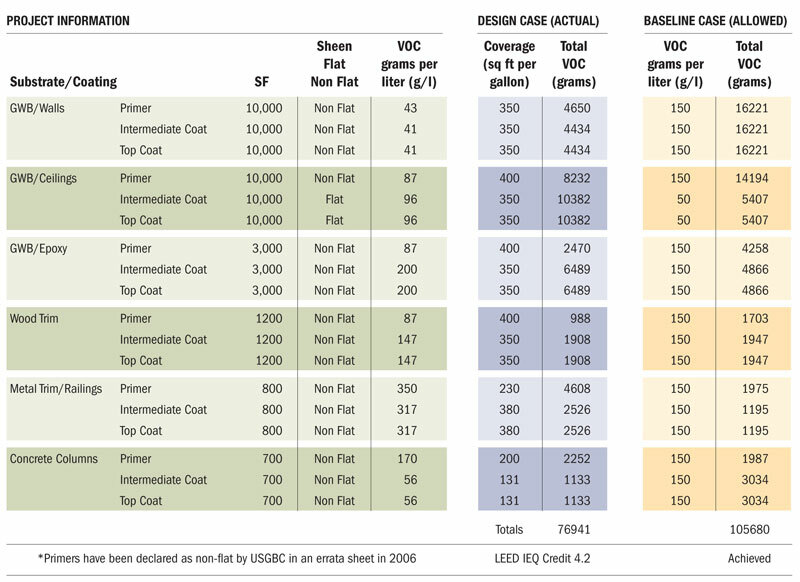 I stumbled onto concise but comprehensive article by Chris Dixon in Walls & Ceilings magazine called Straight Green: Alternative VOC Calculation for LEED. Basically, it walks you through the process of preparing a VOC budget (what you need to do if the contractor slips in a non-compliant paint or adhesive) as an alternative compliance measure for achieving EQc4, Low Emitting Materials credits. I could go into more detail, but instead I'll just recommend reading the article for yourself! This article was published in 2008, and references LEED-NCv2.2 standards, though my understanding is that the methodology should not have changed in the 2009 edition of the same system, and that it should also apply to LEED-CI, LEED-CS, and LEED-Schools systems.